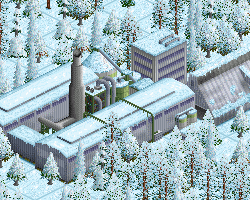 Improved aluminium plant by andythenorth and coded it. 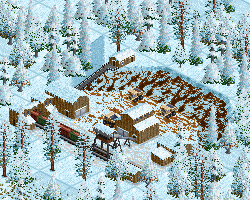 Drew and coded bauxite mine with animation. 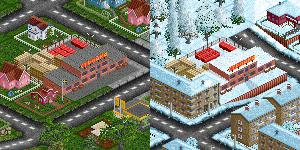 Coded new building materials shop. Drew new building materials shop. 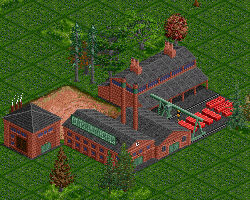 Provided more layouts for new brick works and cement works. Coded new Plastic plant by andythenorth. 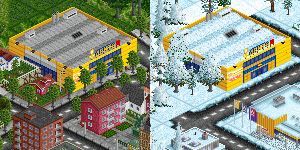 Fixed snow appearance code according to NEWGRF specification change. 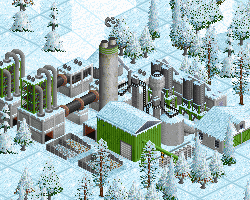 Made the small changing and partial snowing of the plastic plant by andythenorth. 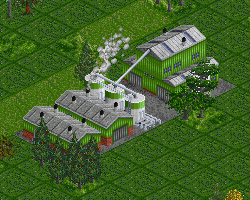 Drew new tiles for cement works, drawn by andythenorth, inspired by cement works by MHz. 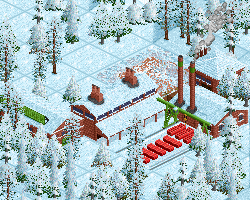 Snowed the cement works. 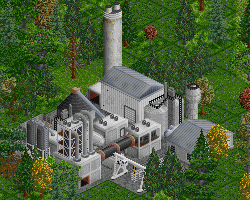 Made small changes in cement works graphics. Drew new brick works. 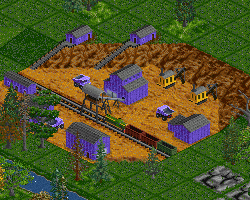 Pit graphics is based on sand pit graphics. Coded German translation for parameters descriptions. 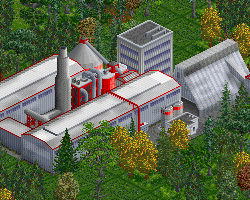 Fixed wrong store place size and production text for steel mill. Updated wiki for ECS 1.1. Production level growing above 12% now requires higher transportation level (above 75% instead of above 50%) for mine-type raw material industries. Last water tower in town si now protected in desert. The project is NINE years old. Congratulations! New house drawn - Pied Piper's House. 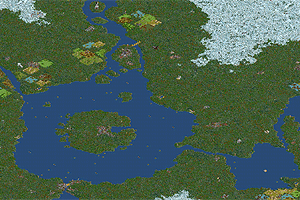 Small fixes in Dale of Scandy II scenario. ECS houses - minor bug fixes. ECS houses - wiki updated. ECS houses is v 1.0 now. 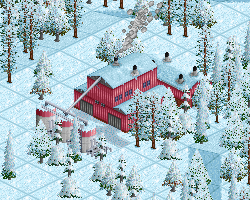 Decreased farm production grow requirements from 75% to 70%, removed decrease counter in winter and march when farm is above snow line. 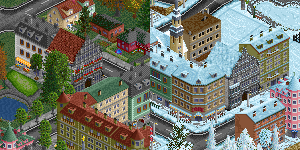 Redid old Dale of Scandy scenario to 512 x 512 and ECS.